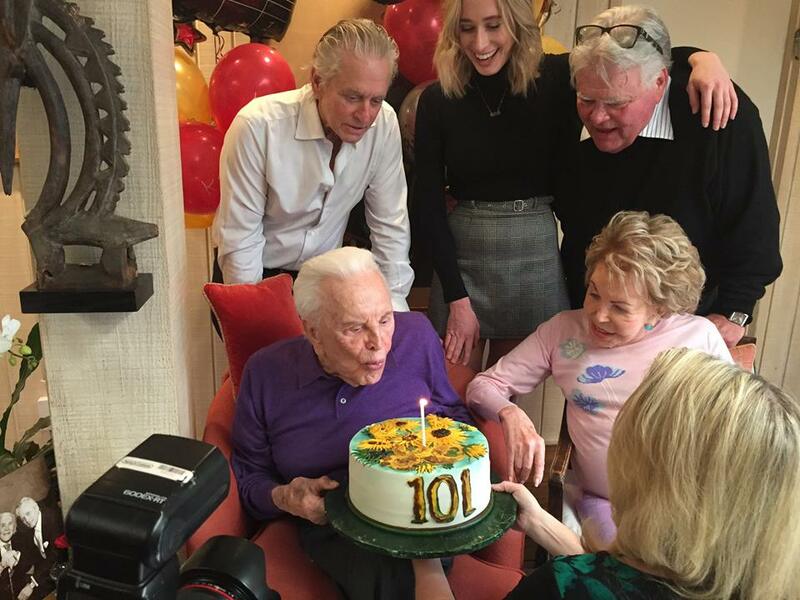 Superstar Michael Douglas is sharing intimate family photos from the Saturday gathering in honor of Golden Age of Hollywood Oscar winner Kirk Douglas's 101st birthday party! In the main image (at the top of this post), Michael, 73, is seen with his brother Joel, 70, and Kirk, who he describes as "a true amazement." He's in his 102nd year! 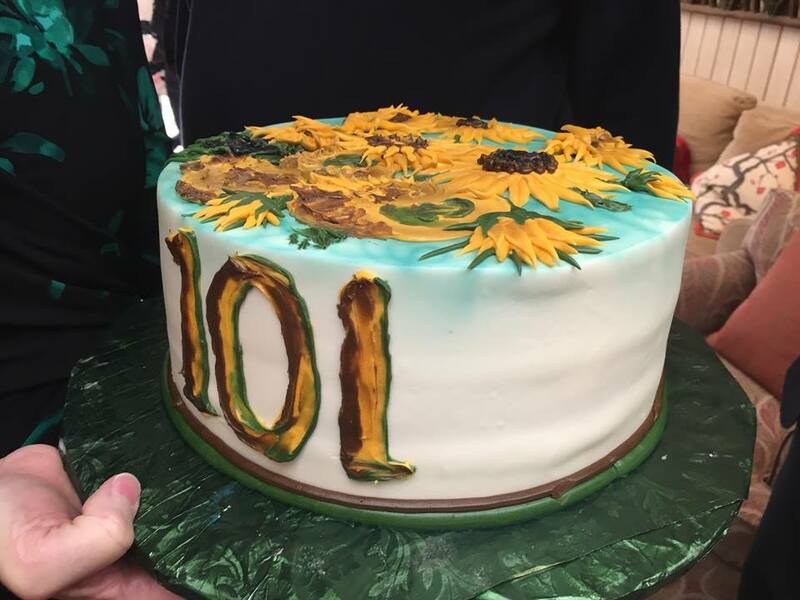 Another snap shows Kirk blowing out a single candle on a beautiful cake decorated with a nod to his Oscar-winning role as Vincent Van Gogh (1853-1890) in Lust for Life (1956) — check out those sunflowers! In that photo, Michael's niece Kelsey, 22, and his stepmom, Anne Buydens, 98, join in on the fun. 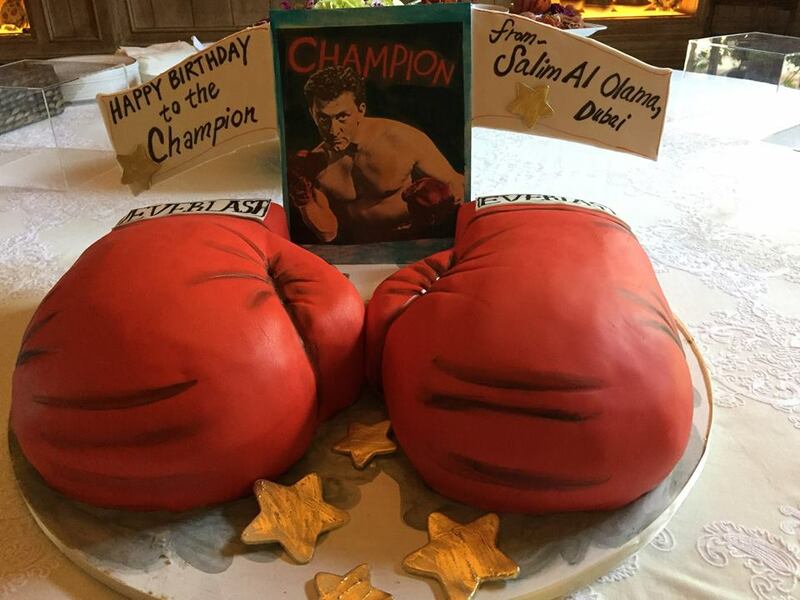 It would appear a fan sent Douglas a cake meant to resemble the boxing gloves from another of his famous flicks, Champion (1949). Kirk's daughter-in-law Catherine Zeta-Jones, 48, also celebrated the day, sharing a saucy pic of Kirk on her knee!